Garaga is known as much for its quality products as its exceptional after-sale customer service. But what really makes the difference for me is the talent of Garaga designers to create harmonious colors and styles that complement any type of house. 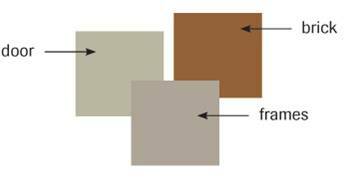 Fit the color of your door to your window frames. Select rectangular forms that correspond to your style of architecture. 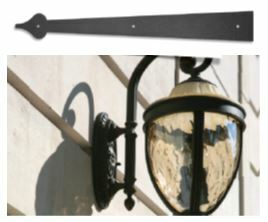 Choose a style of decorative hardware similar to that of your exterior lighting. 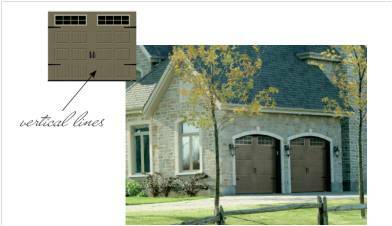 Shed doors & backyard garages: many of our customers opt to outfit their shed with a garage door. This is a great idea because a garage door installed on a shed has many advantages, such as functionality, attractiveness and ease of upkeep. Agricultural, Commercial and Industrial doors: Garaga builds its non-residential doors to meet the needs of your special projects (ex. : barn for farmhouses), without having to compromise between quality and good looks. Strong and long-lasting, their doors come in a variety of styles, colors, window options and sizes, always with the same high quality in steel or aluminum. Whether you require a door that’s impact resistant, more insulated, or a non-standard size, you’ll find what you need among Garaga’s G-series doors. Glass-panel doors: If you want a modern and distinctive look, the residential California glass door is an excellent option if your home doesn’t need an insulated door. 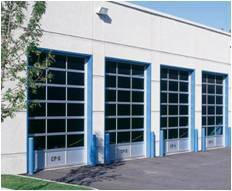 For commercial applications such as firehouses, bars or restaurants, the G-4400 door is what you want, coming in various sizes, and lending a neat and contemporary look, while providing all the advantages of a regular garage door. We recommend Garaga based on the quality of its products and the beauty and elegance that each door brings to a newly constructed home or a renovation project. Garaga’s attention to detail gives your home a sense of accomplishment, adding prestige and extended functionality to your residence. Ask us for a free quotation – we will be happy to assist you with your project!